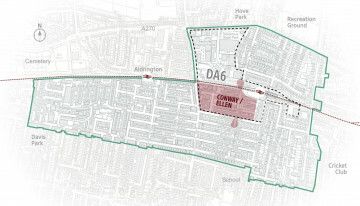 Articles about the Conway Street / Ellen Road area: a zone within the Hove Station Neighbourhood Plan designated area. located south of the railway; including the bus garage, industrial buildings, Honeycroft and the Vallance Community Centre. The major challenge for the Neighbourhood Plan is to create a detailed policy framework and Concept Plan for the phased, integrated redevelopment of the whole of DA6 South, with improved connectivity to redevelopment north of the railway.